I am going to include this in our family memoir. Maybe those reading this here on my blog will also enjoy learning more about these things that make it easier for me to sit down, put pen to paper or fingers to keyboard as I tell you my story. 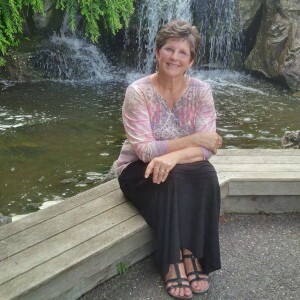 You are why I am focusing on Memoir Writing. If what I write does not speak to you, it won’t matter if it speaks to others. You are the precious people God has given to me. To do the work of capturing stories and lessons and insights to share with you, I sit at my desk with five key elements. This is how I write. A Mug, a Candle, a Glass Heart, a Journal and a Pen with a Message. A Glass Heart: A few years ago, my friend Karen and I each made a glass heart at Patterson Glassworks as a celebration of our friendship. This heart reminds me to write from my heart. I also remember whose who stood by me during a dark time in my life. A Journal: Writing first drafts by hand quiets the inner censor and keeps me from editing as I go. It keeps my ADHD mind going somewhat in a linear fashion because it slows me down. Rabbit trail thoughts become starred items in the margin for safe keeping and future reference. Thinking without writing sends me in endless circles. That evening, telling your dad about it, I looked down at the pen I had been twirling around in my hand. And there they were, the words: “Pursue YOUR Passion.” I didn’t know what to say, so we kept talking. Finally, holding out the pen to him, I said, “Look.” He looked at me and said “I think you know.” I did. This pen resided on my kitchen window sill the next two years after retirement, as life took a different turn and writing took a back seat. Now the pen is on my desk. 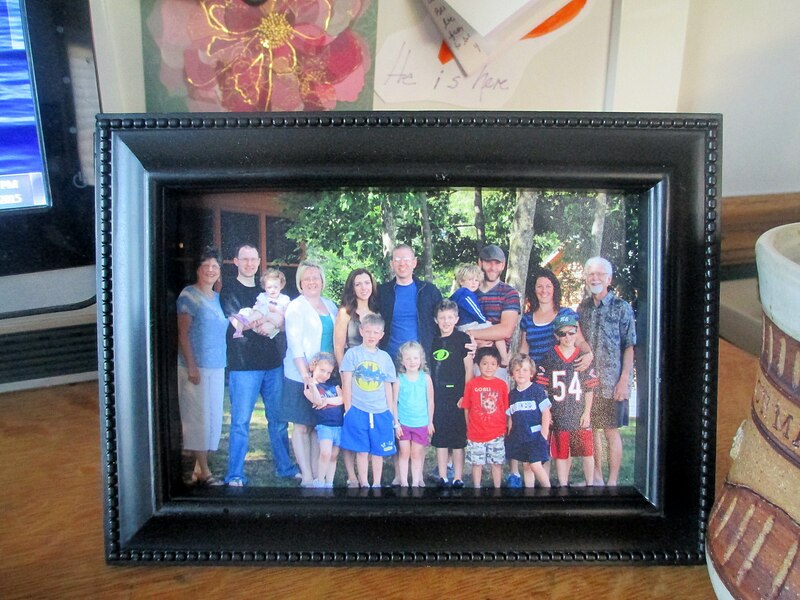 With the photo of you, my precious family in front of me, reminding who I’m writing for, and these five elements close at hand to help me stay focused and centered, I begin putting down the words, one after another. THanks my friend. YOu know me. I find meaning in just about anything! thanks for walking this journey together. Dear Carol … your writing space is beautifully inspiring and the legacy you’re leaving your family has most certainly begun. 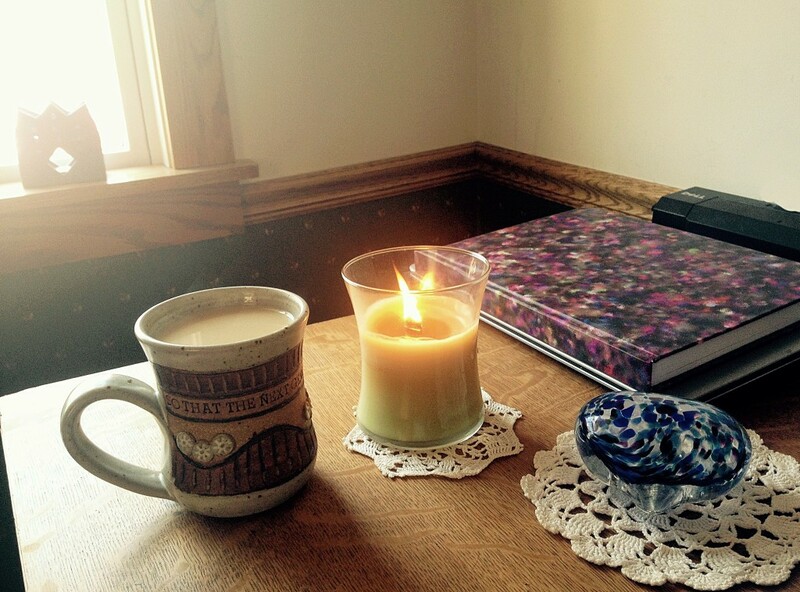 I love a good candle lit and glowing … and with the cool evening breezes on the way, yours is a good prompt to put them back to work. I’m writing at a brand new space these days … hope you’ll drop by and visit! Dear Linda….I am so glad you stopped by here. Thank you for your words….and I just realized why I have not been getting updates on your blog post. I’ll be visiting there later today to catch up on you and the people you love.